August is here, which means that fall is just around the corner. 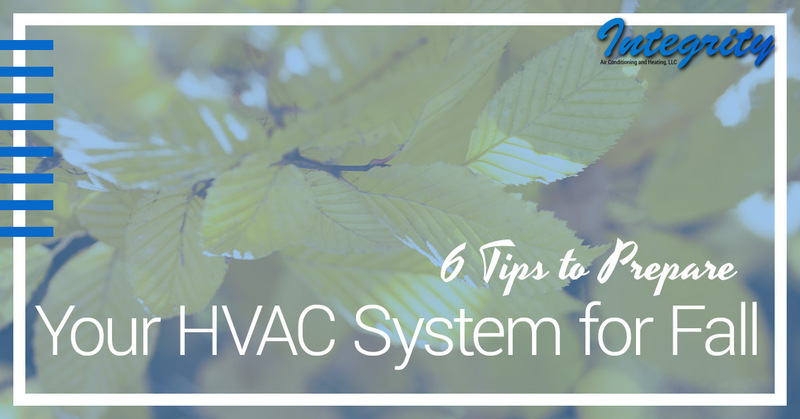 While we’ll still be dealing with the heat for a little longer, there are some things you should do to prepare your HVAC system for the upcoming cooler months. Phoenix may not get as cold during the winter as other parts of the country, but that doesn’t mean you shouldn’t be prepared for it. With that in mind, we’ve put together a list of some tips to make sure your heating and air conditioning system is ready to handle whatever is thrown at it in the coming months. Want to make sure your system is working optimally? Call Integrity AC and Heating today schedule an inspection. Since it is rare for Phoenix to drop below freezing, the winterization tasks aren’t as drastic here compared to other states. However, there are some steps to take to make things a bit more efficient. For instance, draft snakes can help prevent warm air from seeping out from your home and keep cold air from coming in. It’s a good idea to caulk any cracks you might find and repair the weather-stripping on your windows. Replace your air filter to help protect your home from autumn allergens and pathogens while reducing your energy bill by up to 15 percent. It’s a good idea to run the heat for a bit before the cold months start up. After a few months of not being used, dust settles on the heating components within your system. By running it for a few minutes, it will clear that dust up. Be aware, when you do this it might smell like something is burning, but this is normal as the dust burns. The smell should go away pretty quickly. If your heat doesn’t come on when you attempt this, contact an HVAC professional. During the summer, all sorts of debris will build up around your condenser unit. Clear out dirt, grime, weeds, and leaves that have accumulated to ensure your system’s airflow is uninhibited. When this debris is not cleared up, it will also cause your HVAC system to encounter efficiency issues. This is also a good opportunity to clean the coils within your air conditioner. Both the evaporator coil and condenser coil collect dirt and debris throughout the summer, often caused by your lawnmower. When those coils are dirty, airflow is reduced, which can cause your air conditioner unit to absorb heat and can lead to damage. Clean the exterior around the coils and remove any debris you can clearly see. By turning off the air conditioner’s power supply, you’re able to avoid accidentally damaging your condenser if someone switches it over to “cool” during the fall months. There should be a shut-off box located on the exterior wall closest to your condenser unit. All you need to do is flip the switch inside that box. Keep in mind, when spring comes around next year you need to turn the power back on a full 24 hours before using your air conditioner again. When the temperature drops in Phoenix, it affects us more since we’re not used to the cold. That means making sure your HVAC system is working well and ready for when it does get cold is very important. Call Integrity AC and Heating today to schedule your HVAC system inspection. Our experienced and knowledgeable team will be happy to ensure everything is in tip-top shape. We hope to hear from you soon.